ALA offers myriad tools and opportunities to help librarians advocate for ourselves, our patrons, and our libraries. Advocacy can impact our funding. It can get teen rooms in public libraries. It can keep librarians in schools. It can ensure our teen patrons will have materials that reflect their needs. And that’s just the start! 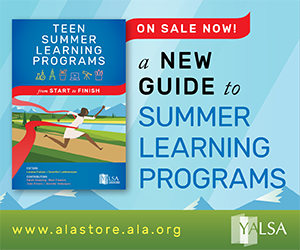 As summer starts and Annual is approaching, consider taking advantage of these ALA advocacy opportunities. Register for a free webinar on practical tips, techniques, and case studies to help librarians advocate sponsored by the ALA Washington Office: “Advocacy Recycling”: Leverage Existing Events and Resources For Lasting Advocacy Impact on Tuesday, June 18 from 4:00-5:00pm EST. Visit the Advocacy Corner at Annual featuring back-to-back speakers and experts on Sunday, June 30 talking about various advocacy issues and approaches. Check out the advocacy presentations at Annual including targeting 20s-30s to advocate and helping patrons tell their library story. If cannot attend Annual, get started at the How to Get Involved tool kit. Whatever advocacy approach you decide to take, know that ALA offers opportunities and tools to help you advocate effectively. By Legislation Committee May 9, 2013 May 13, 2013 Advocacy, Government Legislation, YALSA Info. In March 2013, staff members of the Youth Services department at the Kansas City Public Library took a group of teens on a field trip to the Missouri State Capital in Jefferson City.’ This trip was just one of many that have come from a partnership between the Kansas City Public Library and Truman Medical Center (Kansas City, MO).’ Not only are teens able to expand their knowledge of places in the Missouri area, but they are getting an opportunity to see different things that may affect their lives.’ Teens are experiencing a host of activities that are enriching, educational, and fun.’ The impact of these trips is obvious to us as librarians â€“ we are hoping to create lifelong learners.’ To those outside of our profession, we must advocate for teens, libraries, and the magical experiences in between. Crystal Faris, the Director of Teen Services at the Kansas City Public Library, took the time to answer a few questions about the teen trips and the effect on teen programming at the library. National Library Legislative Day (NLLD) is May 7-8 in Washington, DC. This important event puts hundreds of librarians, library advocates, and citizens in front of legislators to champion national funding. If you cannot attend in person, there are a number of ways you can advocate! 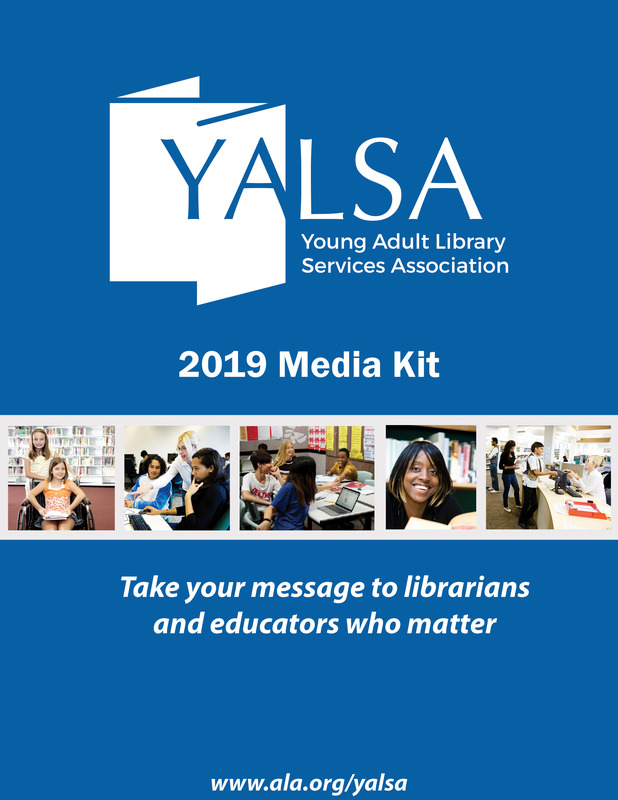 Be on the lookout for emails from YALSA promoting the Tweet Your Senator Map and a NEW map, the Tweet Your Representative Map! Get up-to-date on NLLD activities at the District Dispatch blog. Follow the ALA Washington Office on Twitter and Facebook for up-to-the-minute details on activities and ways you can advocate from home. 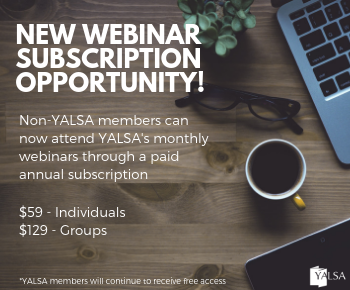 If you do attend, the YALSA Legislative Committee wants to highlight your NLLD story! Please email chair Lizz Zitron to share your story and inspire your colleagues. National Library Legislative Day is May 7-8 this year in Washington, D.C. What exactly is NLLD? It’s an opportunity for libraries to make their voices heard on Capitol Hill! Librarians from all over come to the capitol to share library stories of success with their representatives and to thank those representatives that have made libraries a priority during their time in Congress. It’s a time for librarians and library supporters to get the word out that all libraries are important and well worth supporting. If you’re able to make it to Washington, D.C. you can join other librarians in face-to face meetings. You can register here’ if you’re planning on participating directly. If you’re not able to attend, that’s okay because there are lots of other ways to participate! 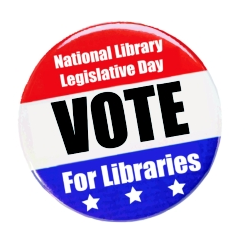 Add Your Voice for Advocacy: The National Library Legislative Day Blog-In! 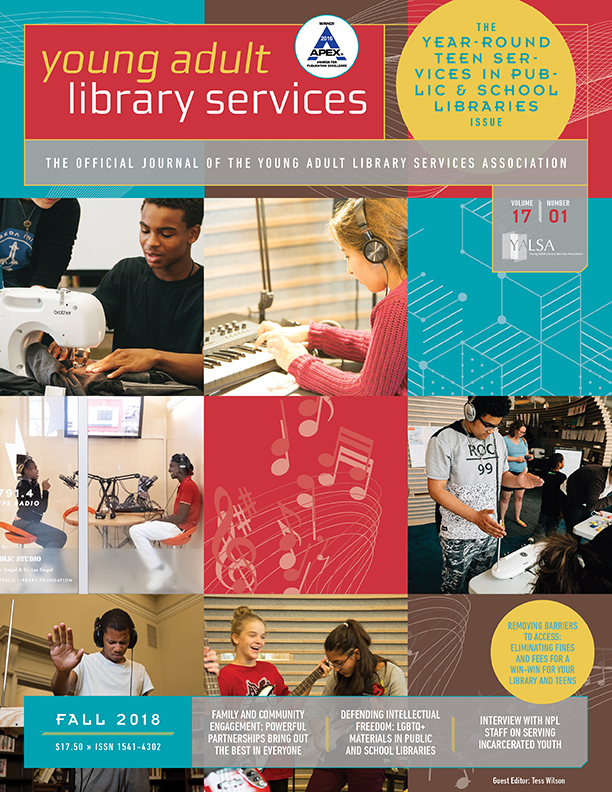 Libraries serve teens in a variety of ways. Beyond tradition programming and services, nearly 80% of all public libraries offer some form of homework support, and there are young people who depend on libraries for Internet access. We must tell our stories to those who can make a difference: our legislators. Fortunately, National Library Legislative Day‘ (NLLD)’ offers the opportunity to talk to legislators and their staff about the significance of libraries for our teen patrons. I had a chance to speak with Michelle Luhtala, department chair of New Canaan (CT) High School Library, late last year about her students winning the American Library Association’s teen video Contest, â€œWhy I NEED My Library!â€ in 2011.’ After learning that the American Library Association was sponsoring the teen video contest, â€œWhy I NEED My Library!â€ , Michelle Luhtala, school librarian at New Canaan High School (CT) sent the information to a group of students interested in videography.’ She let the students ponder the idea of the contest and they did the restâ€¦ ultimately winning the top prize of $3,000.00 cash.’ The focus of the video was the library and the services offered.’ Michele said the $3,000.00 cash prize was a huge incentive for the students. Even thought they did not get to keep the money for themselves, the students did get to decide how to spend the money for the benefit of the school library, a way to leave their legacy.’ Ultimately, 5 iPads were purchased for the school.’ Each iPad is individually engraved with the student’s name and has its own cover which represents each of the award winning students.’ Since receiving the iPads, Michelle said that many students come to the desk requesting to check out â€œThe TIMâ€ or â€œThe Nickâ€ iPad. Tagged Michelle Luhtala, New Canaan High School, Why I need my library! By Legislation Committee January 9, 2013 January 9, 2013 Advocacy, Government Legislation, YALSA Info. How did you become involved with libraries? As an undergraudate student, I was referred to the local public library – The Public Library of Mount Vernon and Knox County in Ohio – for a job listing. The rest is, as they say, history. I became their Young Adult Services Assistant, and I had no idea what I was doing. But I loved it and worked hard to learn, eventually getting my MLS from Kent State University in 2002. I have worked in public libraries for 19 years now, always working as a young adult librarian and either youth services or adult services. I have worked in 4 different libraries, each having a different structure, size, and level of funding. Leaving my last library and my teens at Marion Public Library was the hardest thing I have ever had to do, but the economy hit Ohio hard and my husband found employment in Texas so we moved. I now work part-time at the Betty Warmack Branch Library in Grand Prairie. 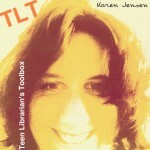 And the only thing I can say that I have loved about the move is how it lead me to start my advocacy project, Teen Librarian Toolbox, and how it has resulted in my growing so much as’ both a librarian and an advocate. As the end of the year inches ever nearer, it’s time for the requisite best of lists. Advocacy is no exception and deserves special attention because keeping our libraries and open and thriving allow for all of those other best of lists to have purpose in LibraryLand. 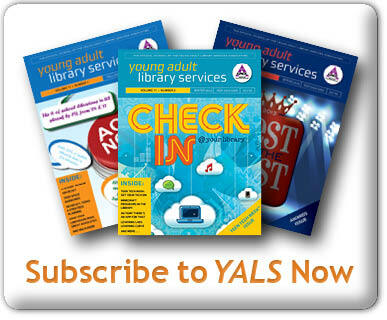 The YALSA Legislative Committee brings you the best of advocacy in 2012, in no particular order. This girl: Whittier, CA seventh-grader Molly Hansen is running a campaign for keep her school library open. Molly started a petition that garnered more than 330 signatures from fellow students and now has the town mayor, several city council members, and other stakeholders supporting her. The word is still out on whether her efforts will result in open library doors, but Molly’s passionate advocacy serves as a reminder that anyone can be an advocate. Advocacy is crucial for telling voters, legislators, patrons, and other stakeholders WHY their continued support for libraries is so important. To help inspire and inform members on the many forms of advocacy, the Legislative Committee spotlights’ Diane P. Tuccillo,’ Teen Services Librarian at the’ Harmony Library in the’ Poudre River Public Library District, Ft. Collins, CO. Diane shares how teens in her library system are advocating for libraries. Teens’ often’ have the biggest impact in impressing their peers–this can be negative or positive, and with library advocacy, it’s positive! Adults are also readily impressed by teens and their contributions. I have heard so many great responses from parents who truly appreciate their teens’ library involvement, and those parents are telling their friends and relatives in the community what their teens are doing. The teen library activity presence filters to their fellow teens, families, and friends, becoming advocacy in itself. Advocacy is crucial for telling voters, legislators, patrons, and other stakeholders WHY their continued support for libraries is so important. To help inspire and inform members on the many forms of advocacy, the Legislative Committee spotlights Christian Zabriske’s advocacy journey. I got involved in library advocacy the same way that most of us do: a really nasty budget came down and I had to take time in my spare time to protect jobs and library access. 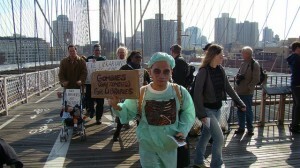 It has become a pretty common story, librarians putting themselves out there politically because they have to. 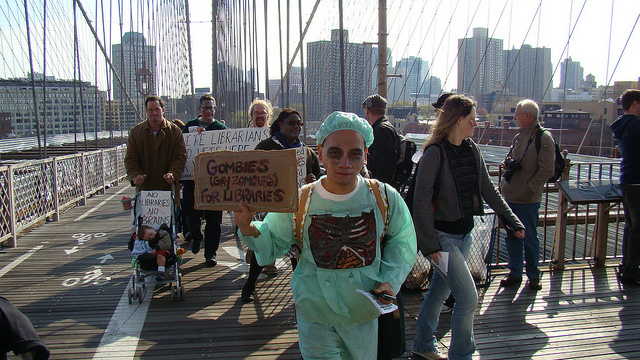 I don’t think anyone sets out to advocate for libraries, not librarians anyway. Every librarian I know believes in libraries and is willing to speak up for them but would ultimately rather be in one working with the patrons and collections. How then do we as a profession keep turning into activists every single year?